Find places to stay in La Grange, GA and other fun things to do. View our list of attractions, activities, events, restaurants and visitor information. Currently as low as $78.00/night! An indoor pool and hot tub free breakfast and well-equipped rooms with free Wi-Fi are top amenities at the Baymont Inn & Suites LaGrange. Free Internet, Swimming Pool, Indoor Pool, Free Breakfast, Pets Allowed, Non Smoking Rooms. Currently as low as $104.00/night! An outdoor pool with a sun deck a free hot breakfast and well-equipped rooms with mini-fridges and microwaves are offered by Comfort Inn & Suites LaGrange. Free Internet,Outdoor Pool, Non Smoking Rooms. Within walking distance of shops and local restaurants the non-smoking Courtyard by Marriott LaGrange treats guests to free Wi-Fi and HDTVs. Four floors are home to 90 well-appointed rooms at the non-smoking Courtyard. Rooms with free Wi-Fi and convenient appliances and a free breakfast await guests at the Hampton Inn LaGrange which also has a pool and fitness room. 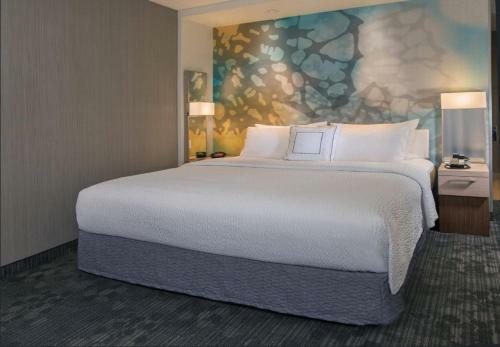 The three-story 81-room hotel has free Wi-Fi cable TVs coffeemakers microwaves and mini-fridges. Free Internet, Swimming Pool,Outdoor Pool, Non Smoking Rooms. 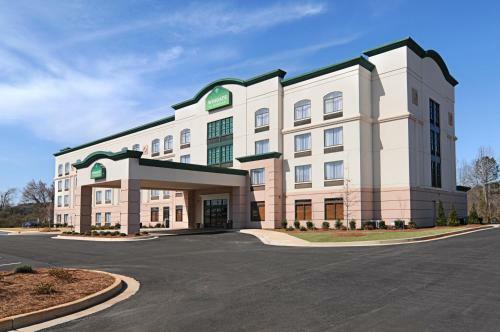 An indoor pool free fresh-baked cookies and well-equipped rooms with free internet are features of the non-smoking Holiday Inn Express & Suites LaGrange I-85. Free Internet, Indoor Pool, Free Breakfast, Non Smoking Rooms. 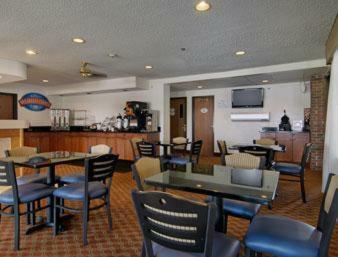 A seasonal outdoor pool and free Wi-Fi and breakfast await guests at non-smoking La Quinta Inn & Suites LaGrange/I-85. The three-story hotel has 74 non-smoking rooms with free Wi-Fi flat-panel cable TVs and super-convenient microwaves and mini-fridges. Free Internet, Swimming Pool,Outdoor Pool, Free Breakfast, Pets Allowed, Non Smoking Rooms. Currently as low as $45.00/night! An on-site restaurant and a full bar an outdoor pool and garden area and well-equipped rooms with free Wi-Fi are top features at the Lafayette Garden Inn & Conference Center. Free Internet,Outdoor Pool, Restaurant, Non Smoking Rooms. Cozy accommodations and a convenient location are welcome amenities for our guests staying at the Quality Inn Lagrange. Free Internet,Outdoor Pool, Pets Allowed, Non Smoking Rooms. Currently as low as $50.39/night! The budget-friendly rates include free Wi-Fi parking and breakfast and guests beat the heat with dips in the outdoor pool at the Rodeway Inn La Grange in western Georgia. Two floors have exterior corridors that lead to 82 basic rooms at the Rodeway Inn. Swimming Pool,Outdoor Pool, Non Smoking Rooms. Currently as low as $81.87/night! Free hot breakfast a pool and hot tub an on-site sundry shop and well-equipped non-smoking rooms with free Wi-Fi are features at the Wingate by Wyndham Lagrange.Outdoor Pool, Free Breakfast, Non Smoking Rooms.